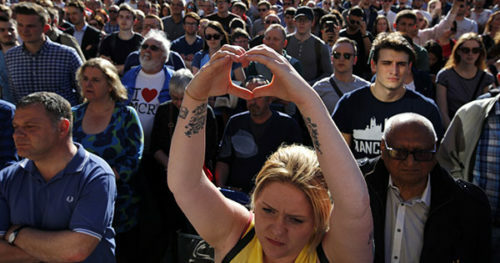 “It’s happened again,” someone somewhere said, when news broke that a terrorist suicide bomber set off an explosion, using a device packed with nails, nuts and bolts Monday night, following a concert by Ariana Grande in Manchester, U.K. Someone named Salman Abedia killed himself with the intent of scaring millions of people, and in the process this 22-year-old man took not just his own life but the lives of 22 people, including an 8-year-old girl named Saffie Rose Roussos. 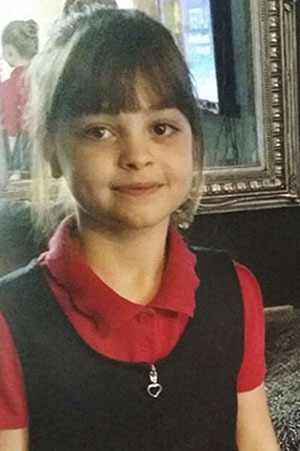 This is a an undated photo obtained by the Press Association on Tuesday May 23, 2017, of Saffie Rose Roussos, one of the victims of a attack at Manchester Arena, in Manchester England which left at least 22 dead on Monday. Almost 60 others were hurt, and many of the victims were children. The news spread like a gasoline-fed fire via the world’s airwaves and fibers and cables and LTE and 3G and 4G and WiFi and ethernet. The faces of 22 people murdered in cold blood appear in our hands, their blood can be seen at our fingertips. We did not sign up for this when we activated our devices, and yet, there it is. About the only thing that surprises me anymore is how some people react to the horrific events I’ve covered in my lifetime, from the bombing of our Marine barracks in 1983, the 1988 bombing of Pan Am Flight 103 over Scotland, the 1993 attack on the World Trade Center, Oklahoma City, 9/11, Newtown, San Bernardino and attacks on innocents around the world from the Middle East to Africa to Russia and Indonesia. Many people responded as I did, with shock and horror, tears and disgust. The internet can unite us in moments like this, and provide all of us a chance to connect in our sorrow, even with celebrities who typically seem so far from us. The way some other people react is to draw attention to themselves and their beliefs, and in the social media universe, that temptation is greater than their moral restraint, presuming they have some.